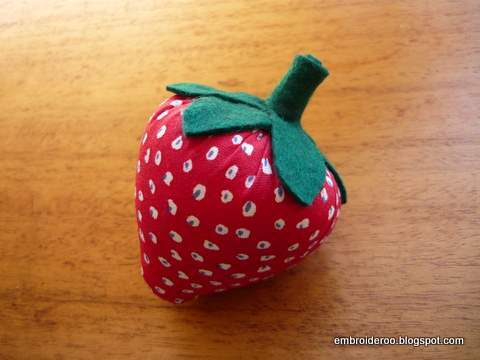 Friday Finds – links to 50 free patterns for pincushions! This week has flown by, with drama performances, work, and general family life keeping me very busy. The weekend is stretching before me with lots of unplanned time (when you have three kids it is never ‘free’ time!!). I have a list of projects I want to tackle – more work on the memory quilt, a bag for a silent auction at a ball I am attending next week, and thinking about baby gifts for two of my staff who are pregnant. In the process of trying to sort through all these ideas I realised that what I need is a little project – something useful and colourful and not too time consuming. Then I hit upon it! 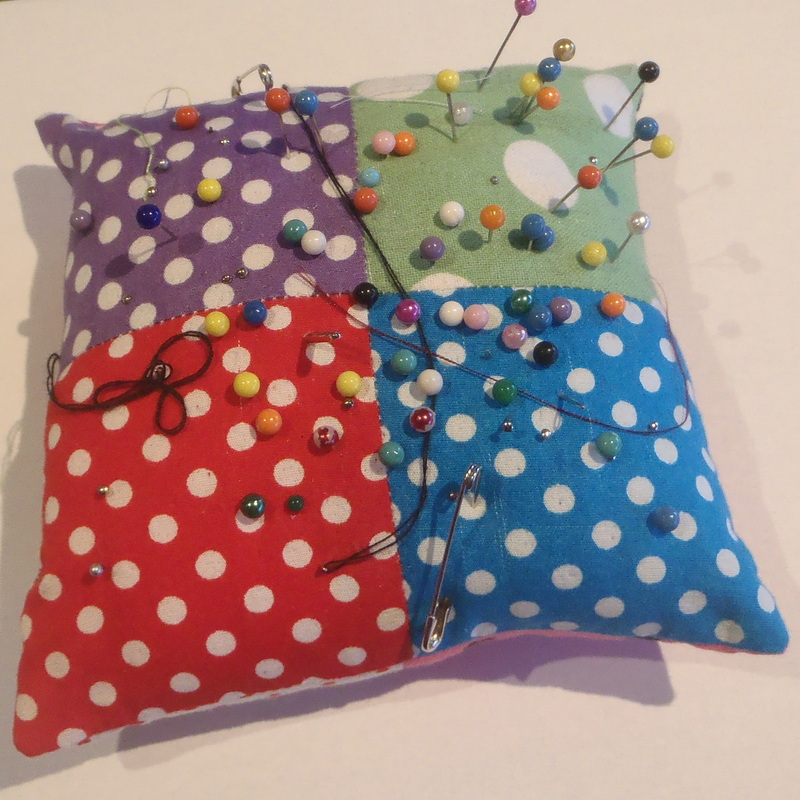 A pincushion!! This is the one that I whipped up for myself about a year ago. While it does just fine, we have a craft stall at the school fete coming up, so making things to be sold there is next on the ‘sewing with obligation’ list….. (I will talk more about that concept another time!). So – today’s list of finds is a collection of 50 free patterns for pin-cushions (I did cheat a bit – one of the links is to 25 free tutorials!) There are hundreds more out there but here are some that appealed to me. Enjoy! This entry was posted in Uncategorized and tagged cupcake, free tutorials, links, list, patchwork, patterns, pincushions, Sewing, teapot, tin, wristlet pincushion on August 2, 2013 by a little bird made me. Thanks for including the Red Brolly Little Fairy House! You are very welcome Bronwyn – that felted fairy house is divine! What a gorgeous collection! I must get my sewing machine out and give a couple of these a try. I’m not a great sewing (although I’d like to be) but I do really enjoy spending a couple of hours now and then sewing something pretty. They are gorgeous aren’t they Sian? And something little and pretty is always a good way to get back into sewing!